The FRB SERIES is our Felsenthal Round Bar Series. 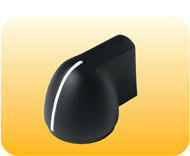 This style knob has been utilized for many different applications; its original design and manufacture was the Felsenthal Company in Chicago. 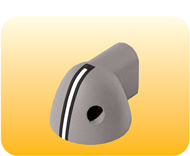 It is used in general for rotary switches where the torque may require a better grip on the knob. Its original design was for adding a dial to the base of the knob. It is made to the original MS25169/25670 specifications, but has been updated to meet all the latest Avionic specification. We have manufactured it with many different markings and colors. 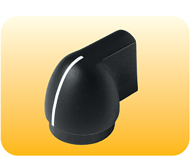 All of our backlighted knobs can be manufactured for night vision use. Our knobs meet NVIS Green A requirements.